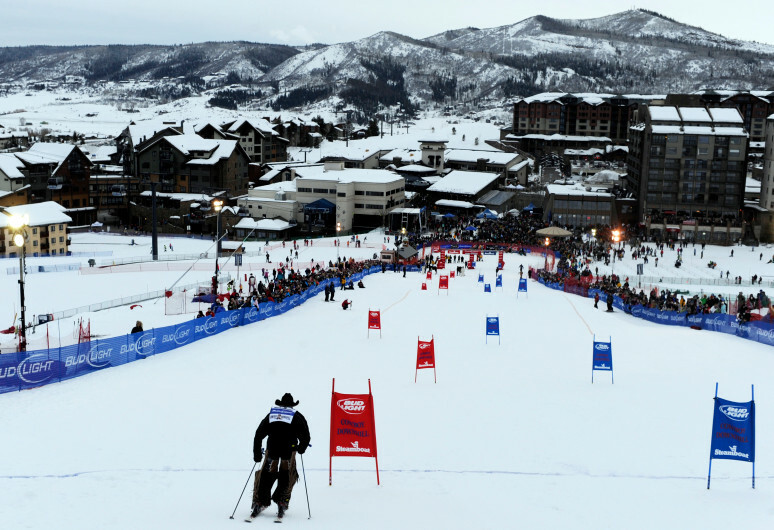 A cowboy races into the first set of slaloms during the 37th annual Cowboy Downhill on Tuesday, Jan. 18, 2011 at Steamboat Ski Resort. Lester Crown, the patriarch of the billionaire Crown family, bought Aspen Skiing Co. in 1985. The family also has ownership stakes in General Dynamics, Sara Lee and JPMorgan Chase & Co., the latter of which is leading the consortium of banks handling Alterra Mountain Co.’s roughly $1.2 billion in debt.